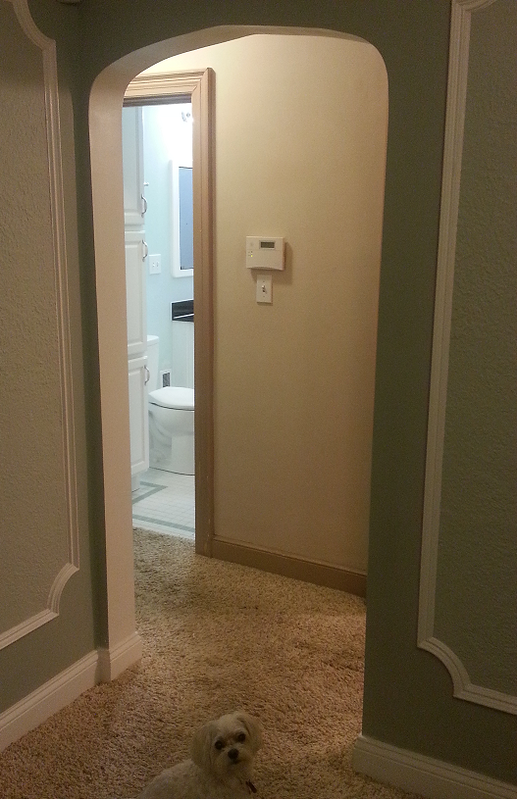 Back in the old days, the more rooms a house had, the more prestigious it was – no matter the size of the room. This is very evident to us after living in old homes. I mean our fridge even has its own little room – it’s weird and it’s a waste of space for sure. 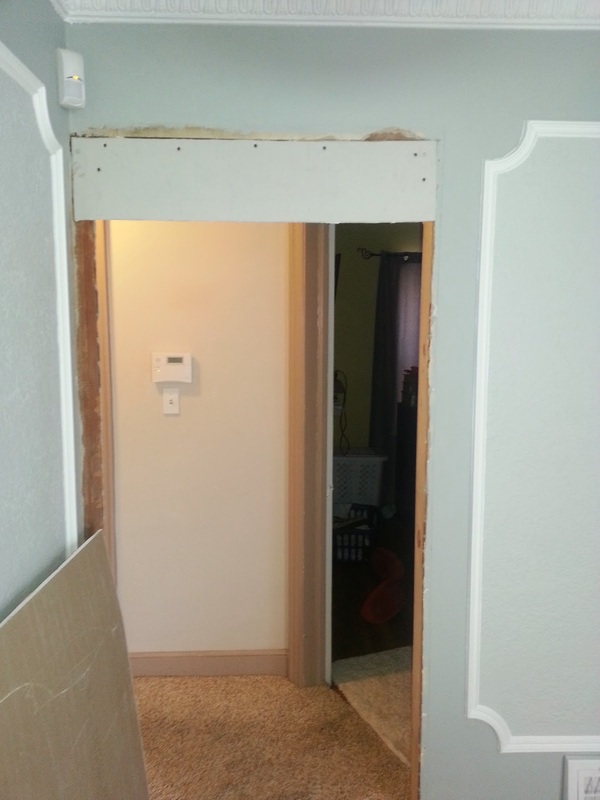 There used to be a doorway in between our dining room and living room. As you can imagine this very much closed off the space and made it seem smaller. 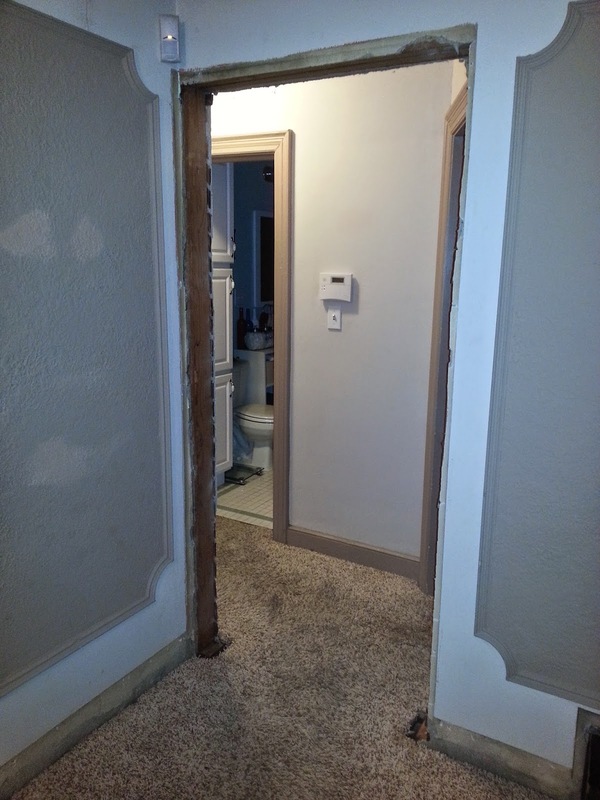 Open concept is all the rage after all. 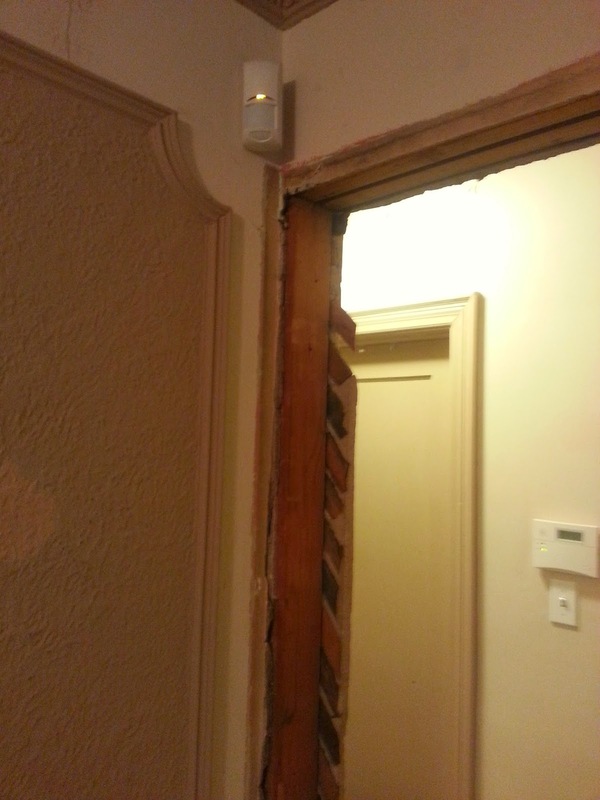 To make the straight line cut, we used a grinder to cut the plaster and a sawzall to cut the lath . Our smoke alarm went off from the tools burning the wood (lath), so we had to temporarily disable it while we performed the work. This was the result we were left with. 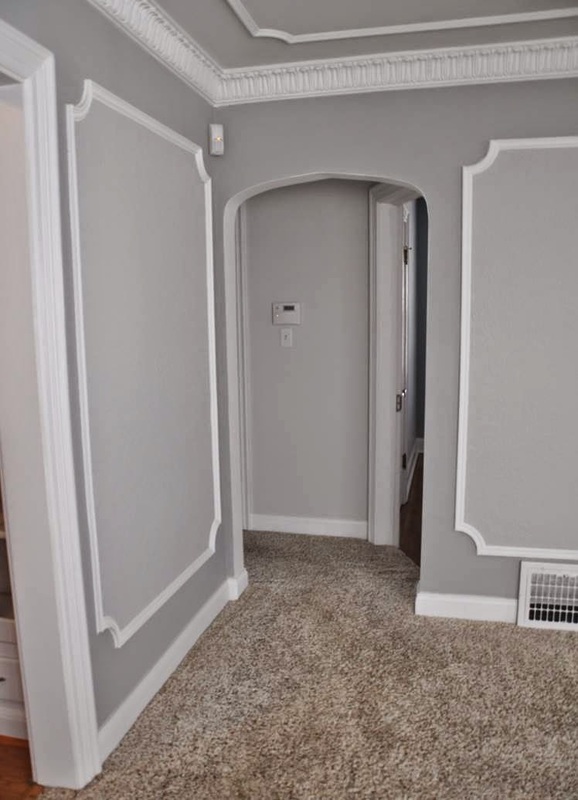 Now our house is full of arches and if we would just drywall in a square opening, one would be able to tell that it was an afterthought and didn’t go with the era of the house. 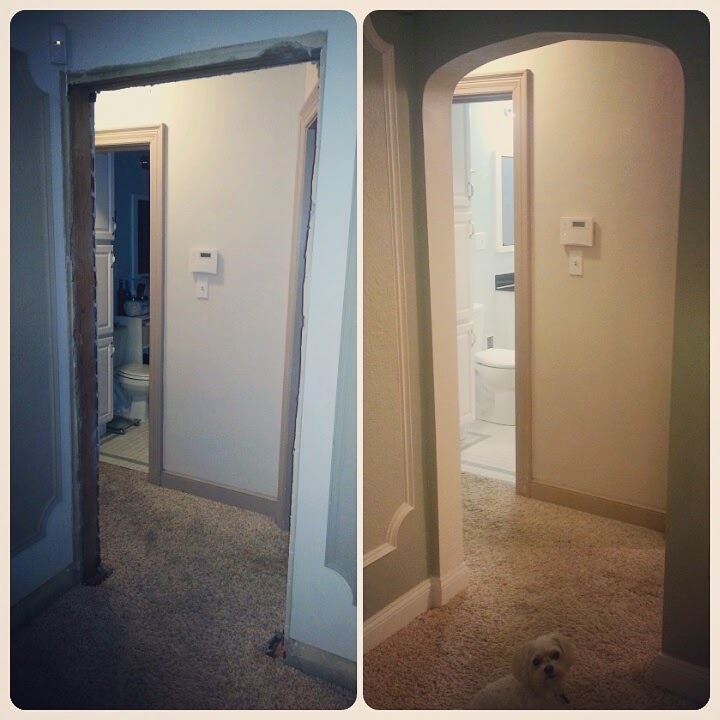 Since we want to keep the characteristics of the old homes, we decided to match the other arches in our house. 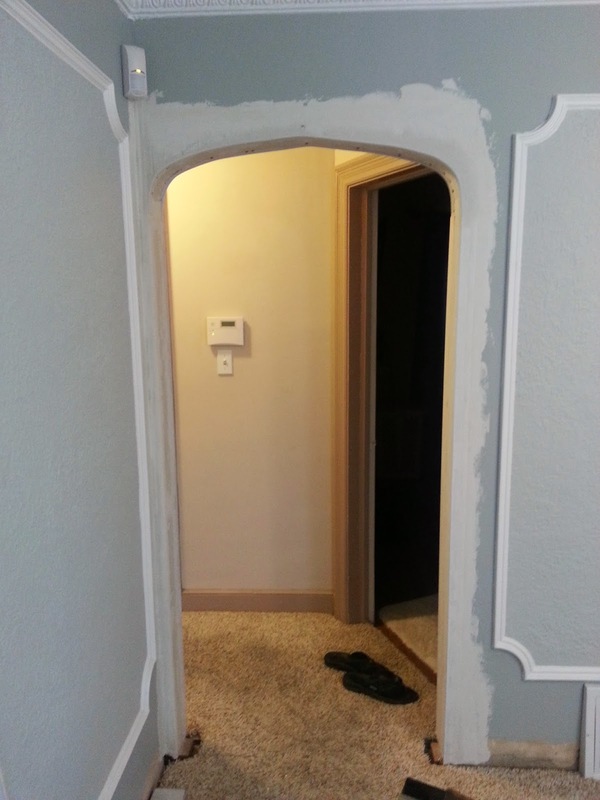 This is the particular archway we modeled our new archway after. *ignore the different DIY projects going on in this photo. 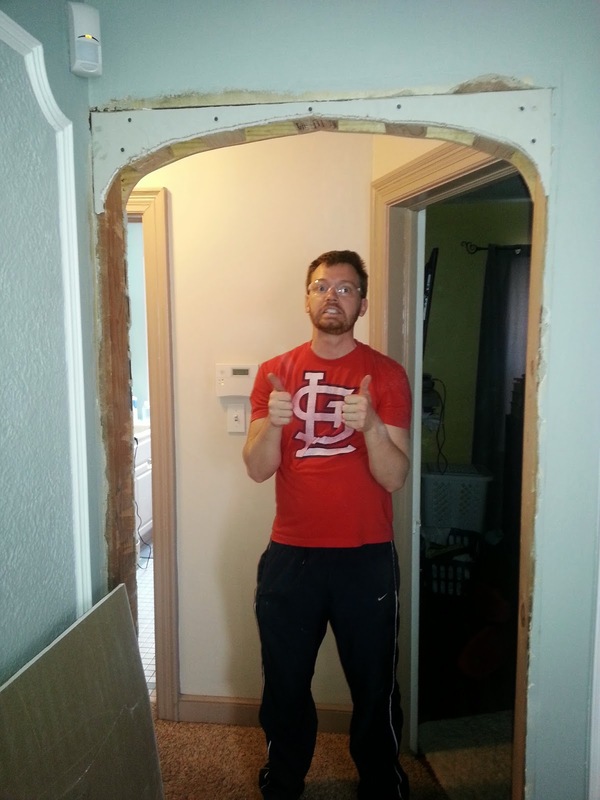 We used a piece of cardboard to trace this exact archway shape and then scaled it down to fit the opening we needed. 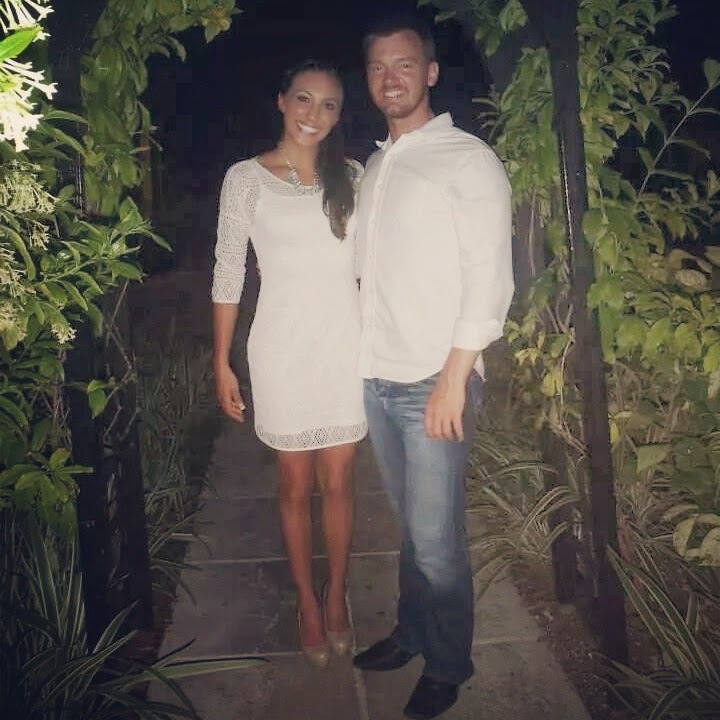 Now we need to give credit to Josh Temple, the HGTV & DIY host of House Crashers, for giving us the idea to build the archway. 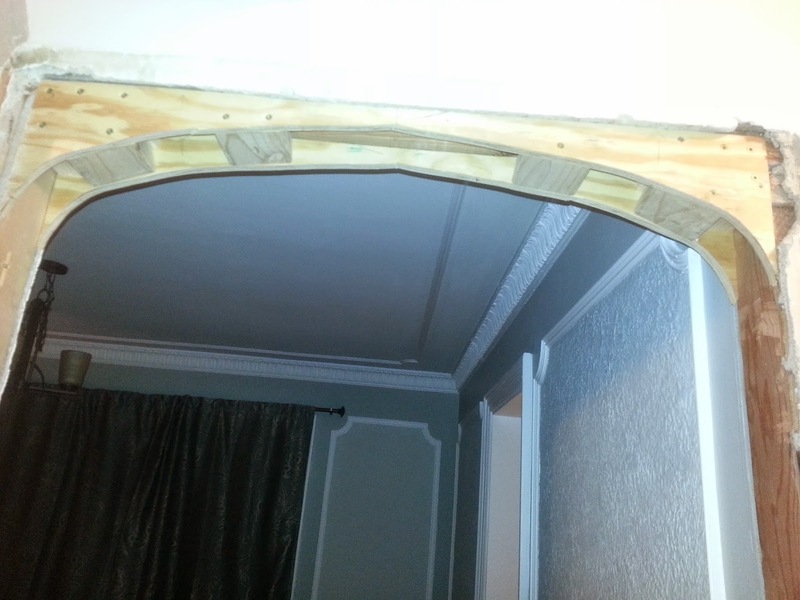 We first took two pieces of plywood and cut it to our “archway shape”. Then we used 2x4s to serve as a surface to attach the drywall and brace the two pieces of plywood together. 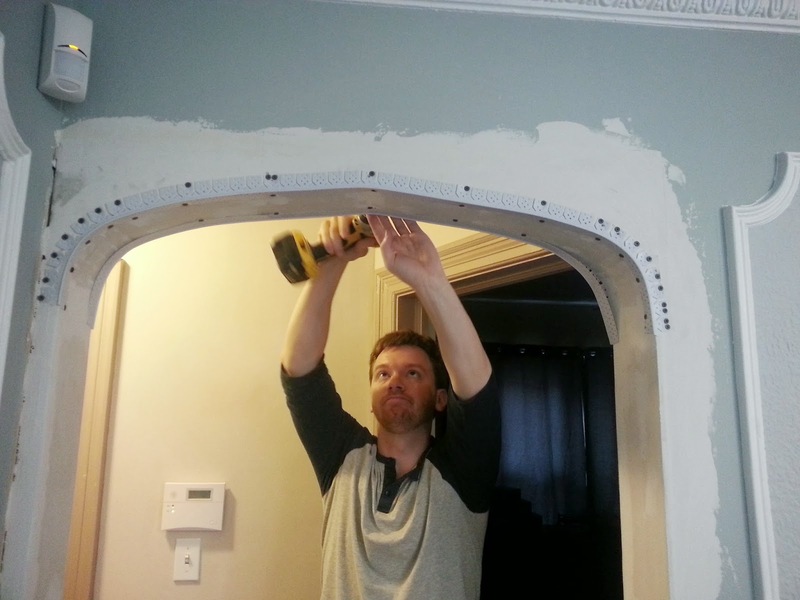 Next, we attached the "archway-piece" of drywall and cut it with a rotozip using the wood as a guideline. 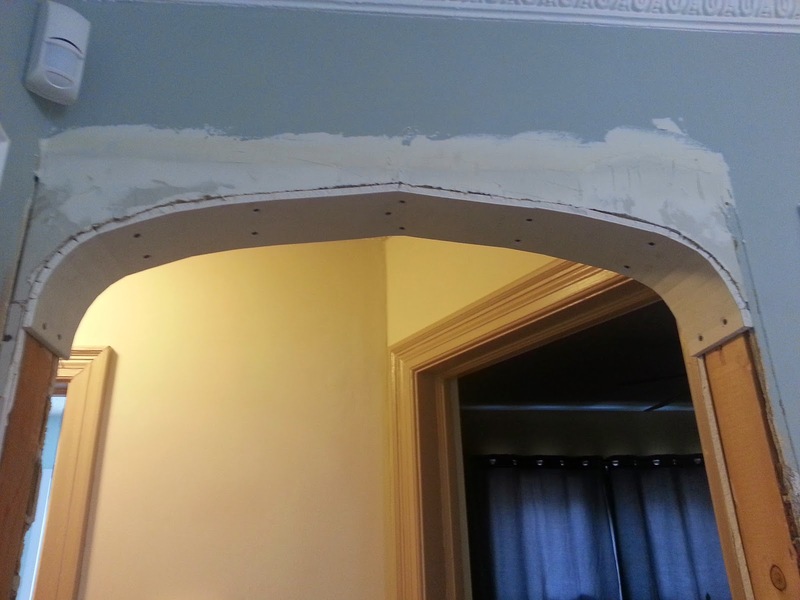 For the center archway drywall we scored the back in order for it to bend in the shape we wanted. 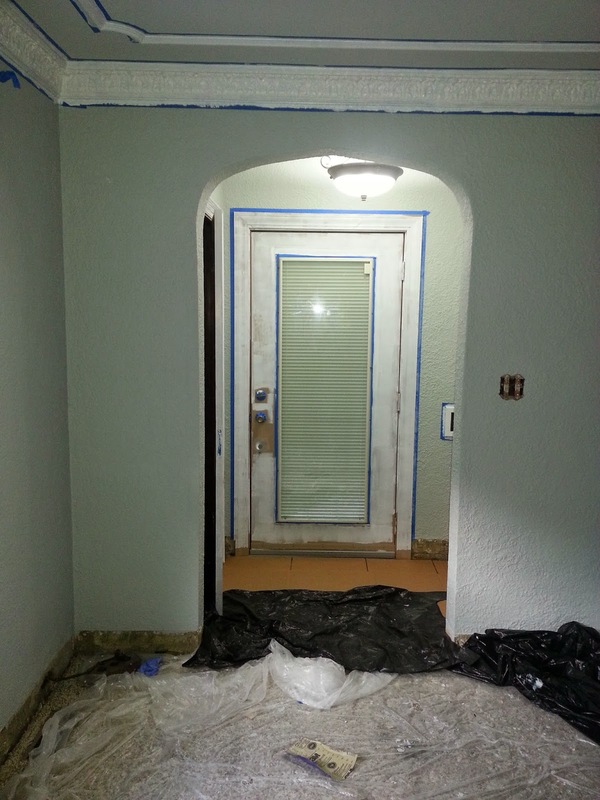 From here on out it was just a lot of filling in with joint compound, sanding, and filling in, and sanding, …. – you get the jist. Here is the finished product! Plus Teddy posing for a picture is always the cutest. 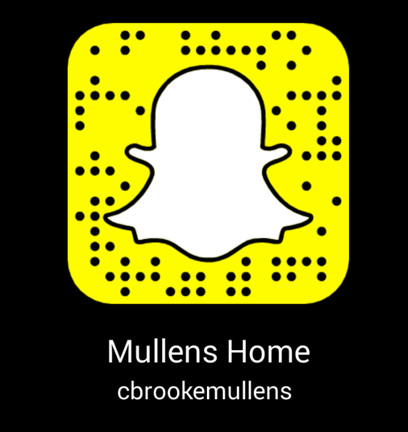 Check out 50 Shades of Gray - okay maybe like 4 or 5 for information about the paint colors!